2. Gold Toe - These have the solid gold marking at the toe of the sock, it's gold. You know it and so does anyone else who sees it. 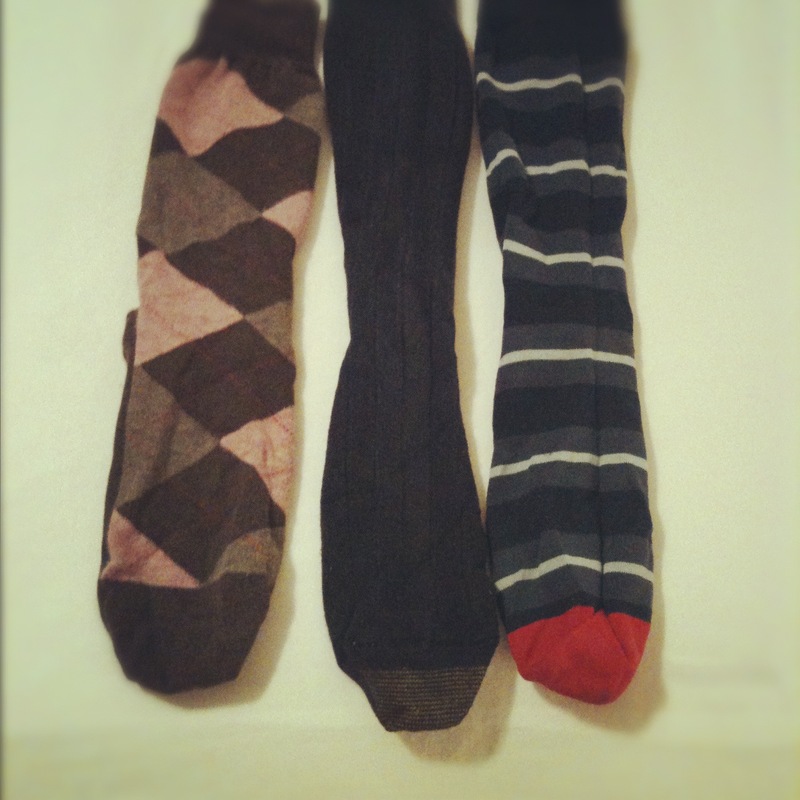 The men who prefer these socks are the traditional men. They generally wear a shirt and tie to work, and tend to blend in with one another. They are very classy and can be powerful people. They find something that they like and they stick with it. Change might even scare them a little. 3. Color - These range from stripes, argyle, polka dots, multiple colors, etc....... The type of men who wear these socks are motivated by fun. They look for opportunities to socialize, party and go out. They are colorful and animated. They are energetic, carefree, positive and have an upbeat approach about life. Now you may agree or disagree with this categories, but think about them. What kind of socks do you wear? Which category describes you? Do you wear the type of socks that corresponds with my conclusions? 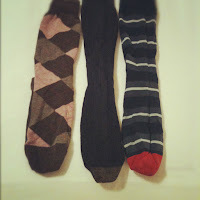 Or do you need to go sock shopping and think more about the socks that you are wearing?